Words cannot explain the incredible joy and excitement I feel right now. 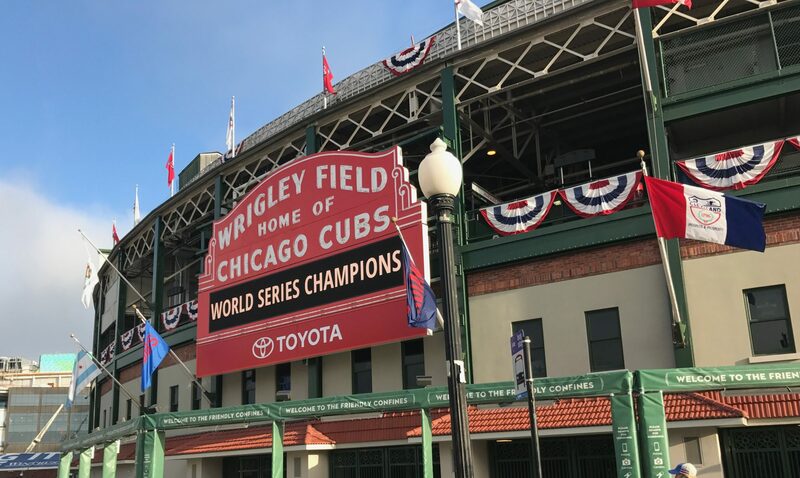 I’ve been following the Cubs as close as ever this year, despite my current residence on the west coast and after 160 games, it IS HAPPENING! The Cubs are going to the playoffs and are the first National League team to clinch their division. Zambrano and Soriano were the heroes today — the two guys who got the fattest cash deals and boy do they deserve it. I don’t have cable, much less satellite but I am listening to the WGN radio stream and on a mad hunt for an Old Style. I am also loving the comment thread at Bleed Cubbie Blue as well as the Cub-cam at Clark and Addison showing the fans spilling out into the streets of Wrigleyville (the game was away in Cincinnati, btw). Soon to leave the house for a Friday night, but this is JUST the beginning of a great run. GO CUBS!